I love bright colours on my toes. I rarely wear them on my fingers, but I’m all about the bright toenails. It’s probably because I think feet are gross and I feel the need to disguise that grossness by any means possible. 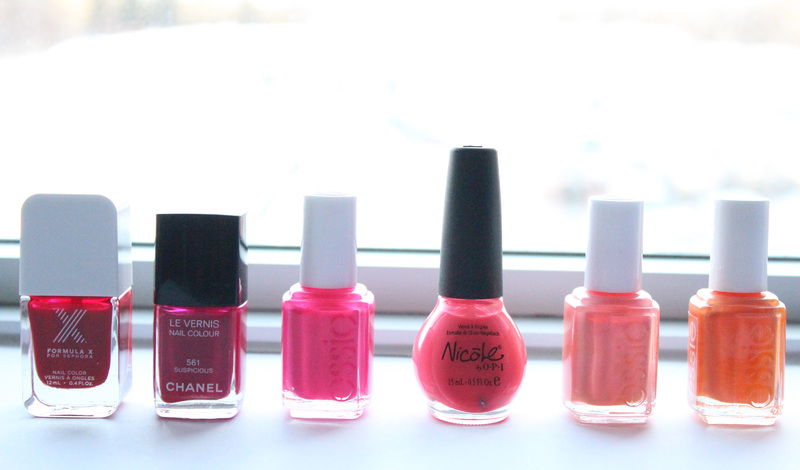 Whether you’re into brights on your tips or toes, with spring coming (taking her sweet time, but coming nonetheless…) it’ll soon be time to start hauling out the brights. If you’re like me, though, then the brights never really left, and you’ve been wearing them all throughout the cold months anyhow. Read more! It’s a fairly unique product. 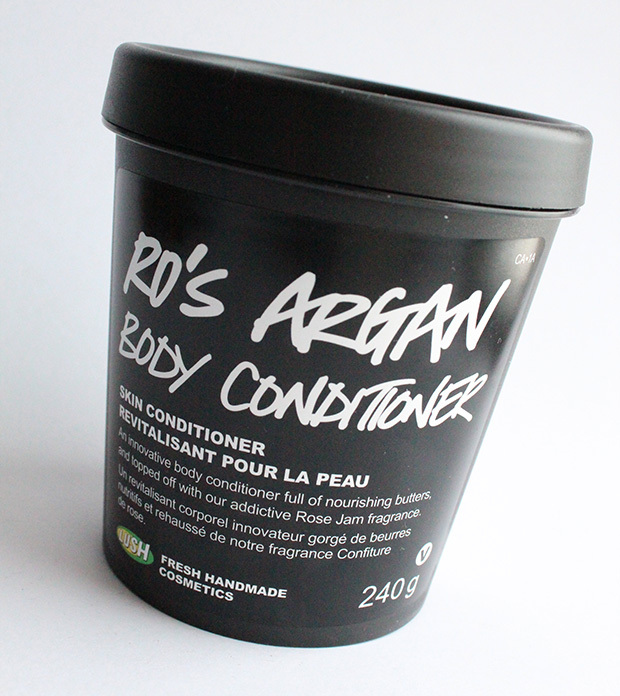 It’s a rose and argan oil body conditioner, which I like to think of as an in-shower body lotion. You scrub and clean your skin as normal. Then, just before you step out of the shower, you slather some Ro’s Argan on and rinse it off. Read more! I only recently watched The Hunger Games and Catching Fire, so I’m super late into the whole fandom. Also, I got the opportunity in one of my classes to give a presentation on Marxist undercurrents in The Hunger Games, which was an analysis that I had a lot of fun with. Needless to say, I’ve had THG on the brain. 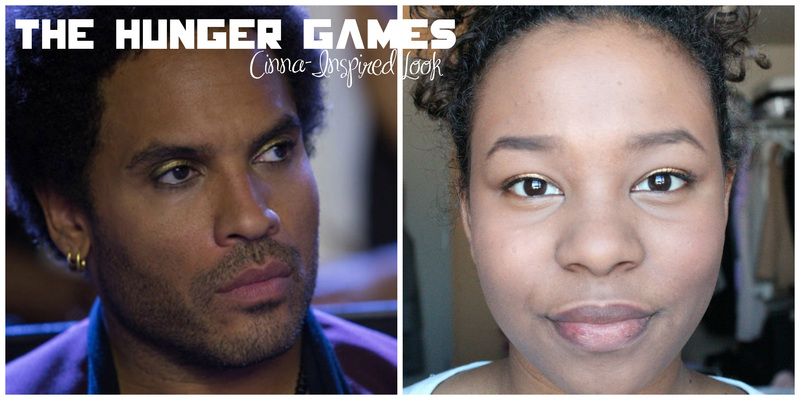 In any case, despite his small amount of screen-time, Cinna is probably my favourite character. I love that he uses his talent to contribute to the rebellion, whether he knows it or not. That takes its own kind of bravery. Character analysis aside, I feel like his makeup look is bold and unique enough to fit the dystopian setting, but it isn’t Effy-style over-the-top. Of all the substantial-makeup-wearing characters, his look is probably the most wearable in day-to-day life. Gold is a flattering colour for me and therefore one of my favourites to wear, so I had to give the gold liner look a try. Read more! Today in one of my classes, I have to give a presentation. It’s only five to seven minutes, but I hate presentation-giving. I really don’t like getting up and speaking in front of people (says the girl who broadcasts her ideas on the internet…but that’s different!). To help make myself feel better when picturing the audience in their underwear inevitably fails, I always try to wear my hair, makeup, and outfit in styles that make me feel comfortable, confident, and put-together. It may sound silly, but this really helps me. When I woke up this morning, I knew exactly what eyeshadow look I was going to do. 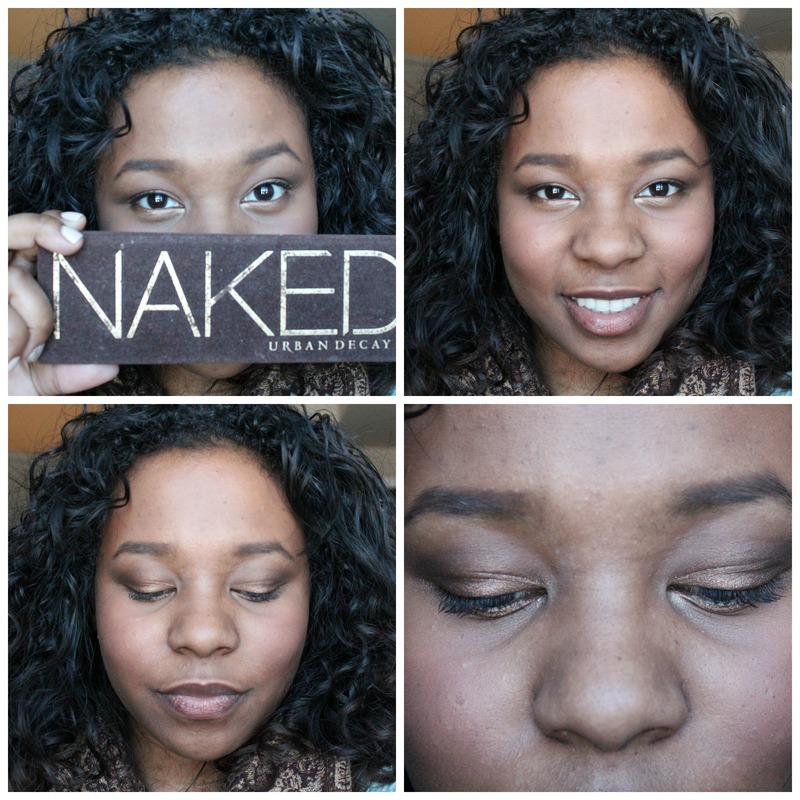 Despite the fact that I’ve used pretty much nothing but Naked 3 for the past two months, I busted out my trusty Naked 1. It never fails me. It’s probably my favourite eyeshadow palette because the golden undertones really compliment my skintone. Read more! With a beauty obsession hobby comes the inevitability of not liking products. Luckily, most high-end stores like Sephora have phenomenal return policies where even if you’ve opened a product and tried it, they will take it back if it didn’t work out for you. As a result of this return policy, I don’t actually have most of the products I regret buying, as I’ve taken them back and exchanged them for products I now love. 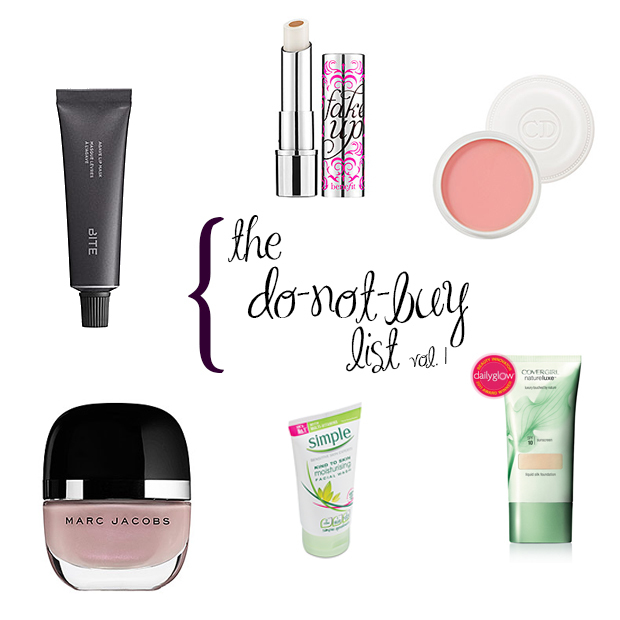 Nonetheless, here’s my cautionary tale: the products I would not recommend. (Do note that these products might work for you – they just didn’t work for me!) Read more! It’s favourites time again. 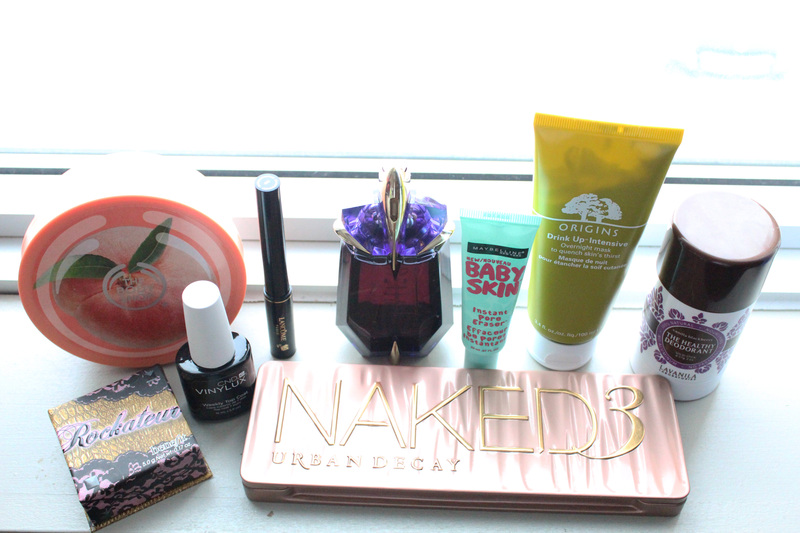 I didn’t do a December favourites post, replacing it instead with my massive, two-part 2013 favourites. But with the new year comes my commitment to sharing my favourites each and every month. 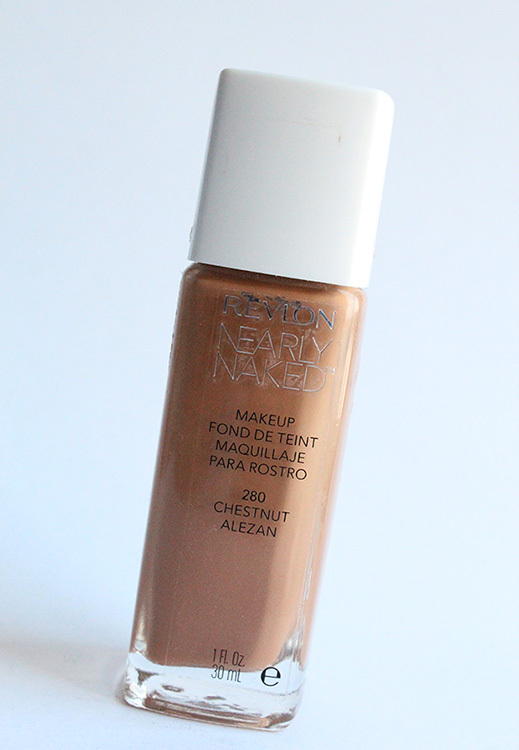 Most of these products are ones that I’ve talked about incessantly, but I tried to include a few newbies in the bunch as well. Read more! Not long ago, MAC released their Huggable Lip Colour Collection. I bought into it partly because of the name…I won’t lie. It’s adorable! “Huggable” is a fantastic word. The other reason I purchased one is because of the claims. 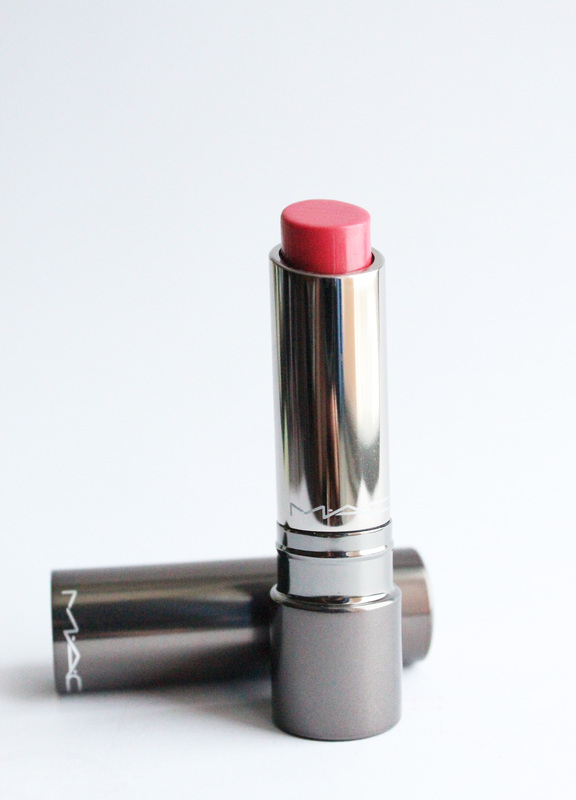 A moisturizing lipstick with shiny, buildable colour? Sign me up! Read more! 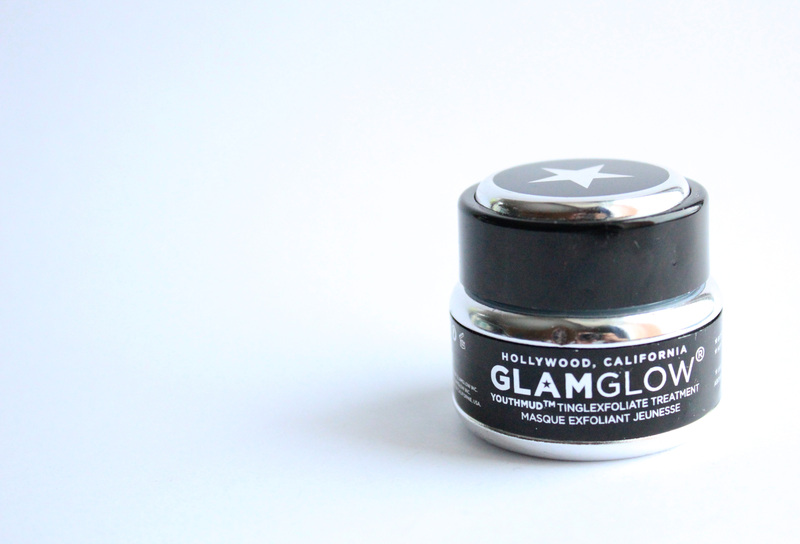 Another product that’s been sweeping the beauty nation is the GlamGlow YouthMud Tinglexfoliate Treatment. Essentially, it’s a fancy face mask that is supposedly what all the Hollywood stars use to get their skin all glowy. I’m all about the glow, so I asked for a little pot of it for Christmas so I could try it out. Read more! I was so super excited to find this product at WalMart last week. I’ve been hearing about it online for a few weeks now. 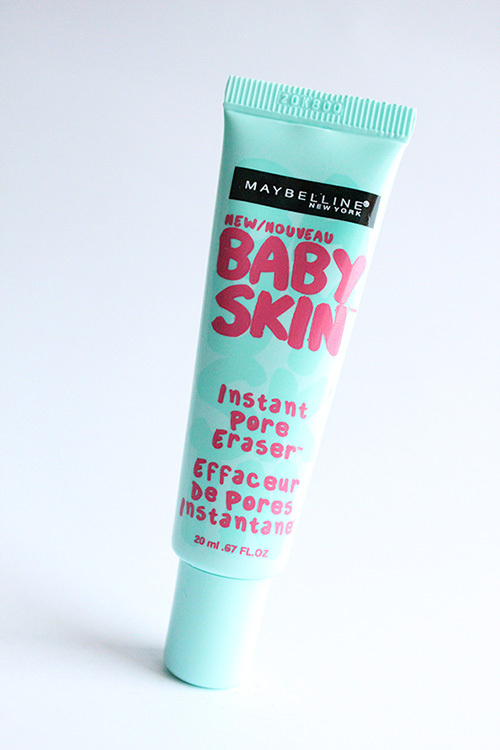 Like Baby Lips before it (which I actually could not stand), Maybelline Baby Skin primer has been eagerly snatched up and reviewed by beauty bloggers everywhere. So I’m on the bandwagon, even though at first glance, there are several aspects of this product that just aren’t my thing. First is the name: Baby Skin? Those freakin’ babies with their perfect skin. So smooth and poreless and good-smelling and they aren’t even self-aware enough to appreciate it. I don’t know, there’s just something a little bit creepy about it to me. Read more!